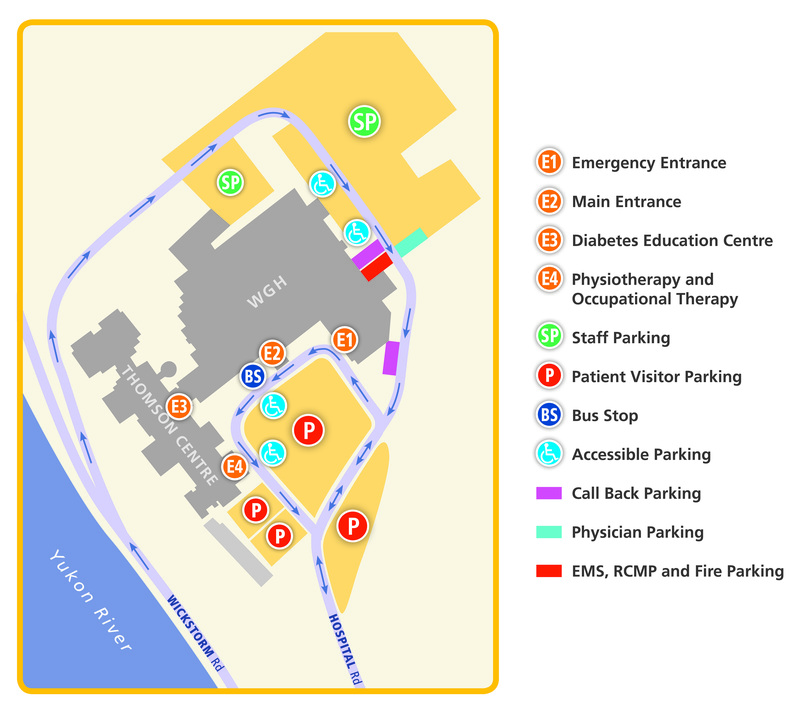 Whitehorse General Hospital has designated parking available free of charge to patients and visitors. This main parking area is located on the left hand side of Hospital Road as you approach the hospital building. The right hand side includes designated RV parking. There are some marked handicap spaces in addition to short-term parking spots (for people coming to emergency or dropping a loved one off at the hospital) available directly in front of WGH. There is also dedicated parking for Therapies (occupational therapy and physiotherapy) patients located in front of Thomson Centre. Turn right onto Lewes Blvd.